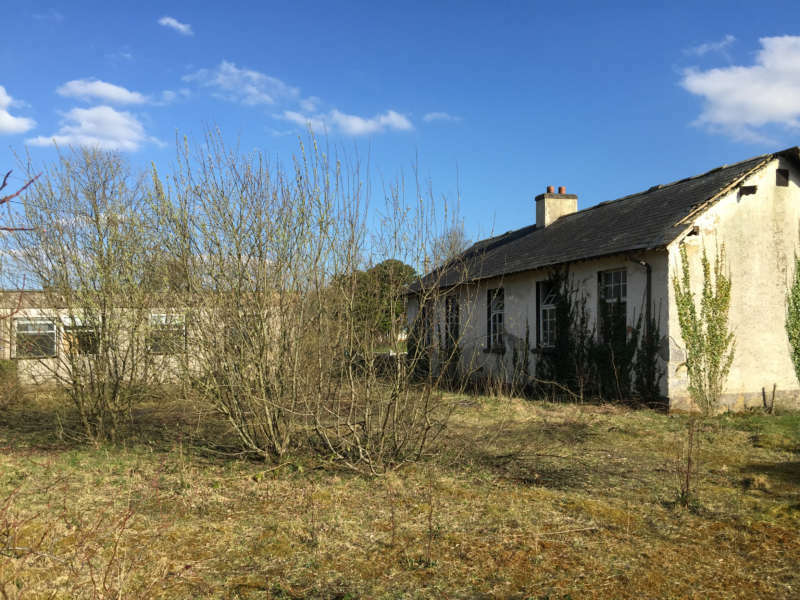 Our project to refurbish, extend and convert the Old Killygarry School to a family home as featured on RTE 1 show; The Great House Revival. 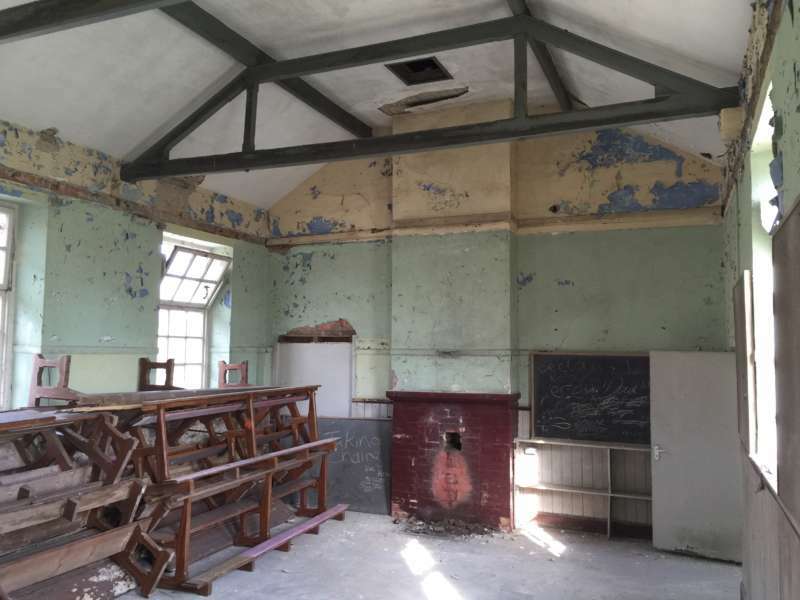 This involves the renovation and extension of a 1894 built, two classroom national school in Co.Cavan. 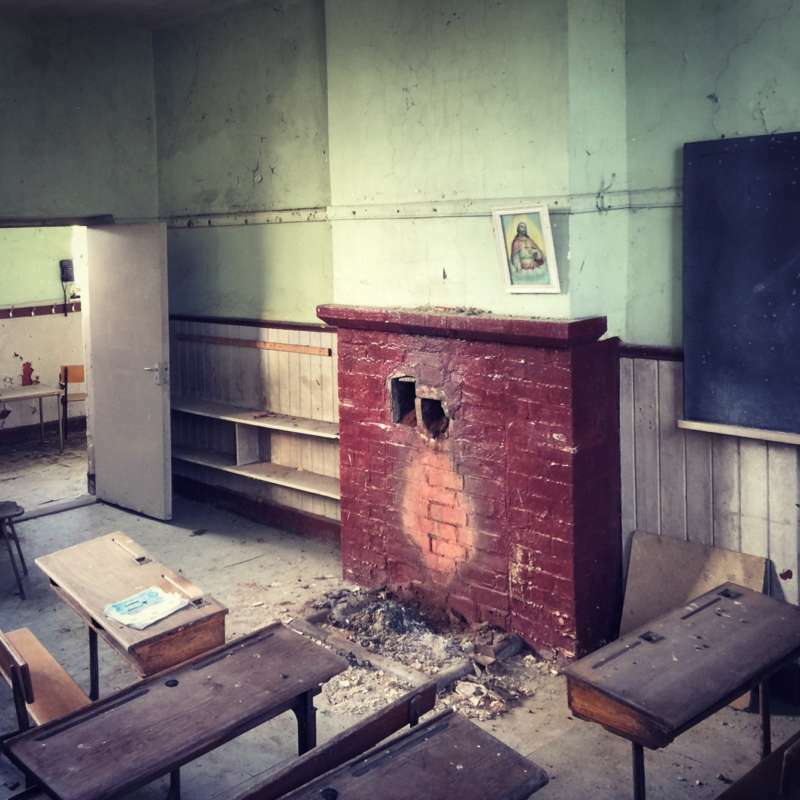 Abandoned in 1997, after the construction of a new school, it was due to be demolished, having laid decaying since. 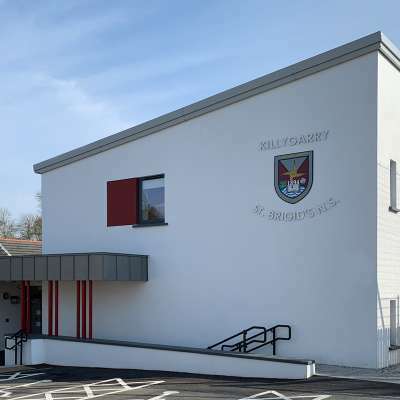 The design maintains and reinstates the presence of the schools setting, with a new extension retracted behind the formality of the original building. It is composed as a dark geometric volume, its exact shape and size ambiguous from the public domain. 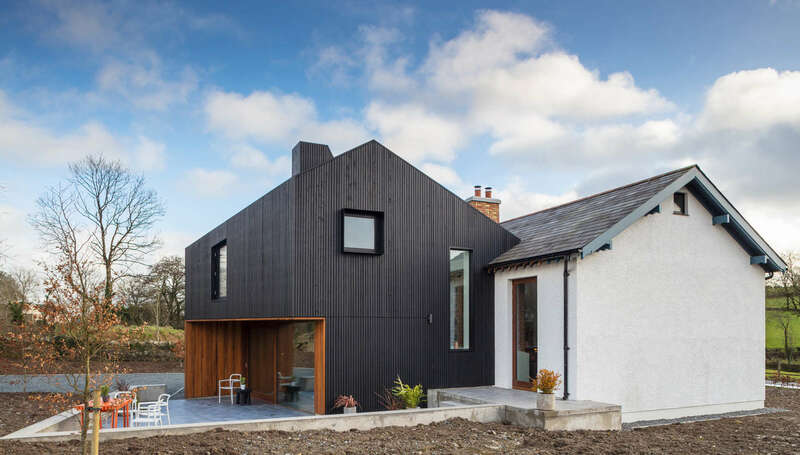 The structure is clad in vertical black stained larch, grounding it in its setting, whilst distinguishing it from the traditional wet dash of the existing. 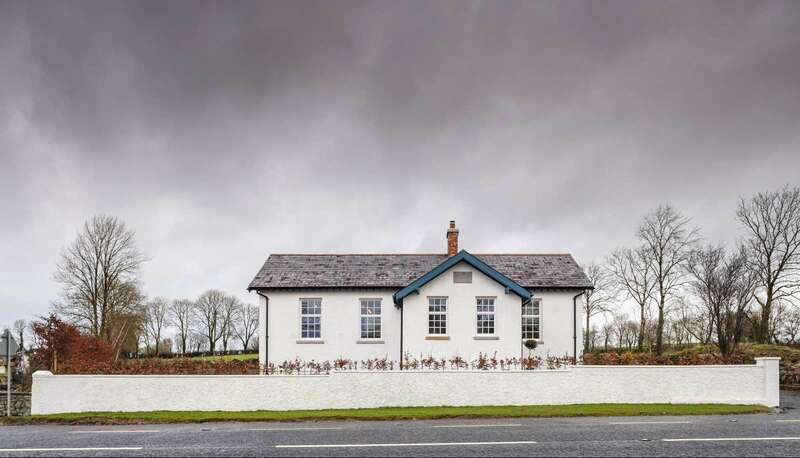 Whilst distinctively modern the new extension is configured to remain subordinate to the original, the form tempered by a traditional pitched roof. 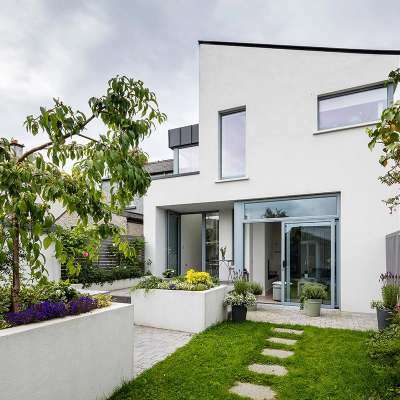 Sited along a busy national road, the geometric form of the extension is orientated and structured in direct response to this constraint, maximising privacy for the occupants. 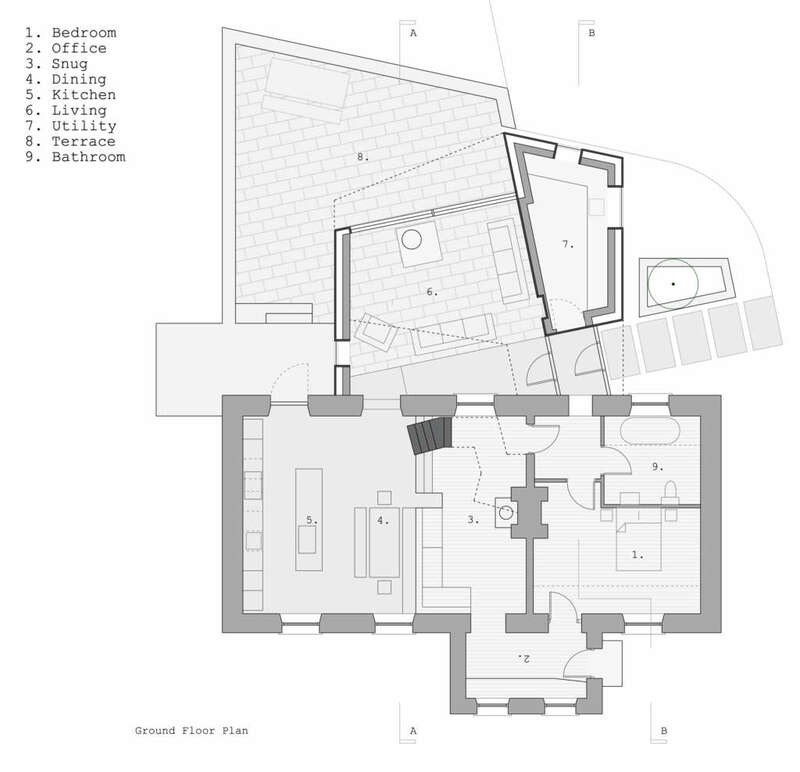 Internally the large classroom accommodates the main living spaces. The floor level has been raised in part to allow views from the kitchen and dining, with a snug unobtrusively demarked by a change in floor level. A living space in the new extension is intrinsically linked via existing opes in the original stone and brick rear facade. 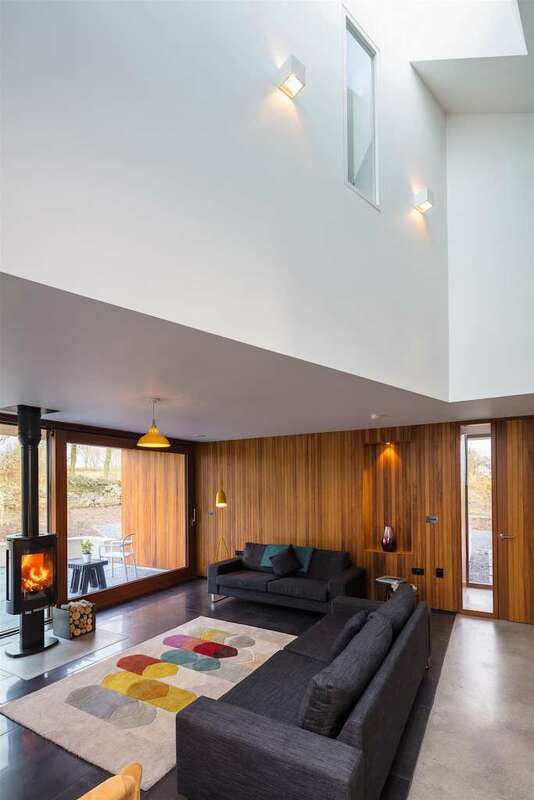 A top lit double height volume between accentuates the juxtaposition and draws light into both. The staircase is designed as a sculptural piece, folded raw steel, cranked to sit within the constraints of the existing space. 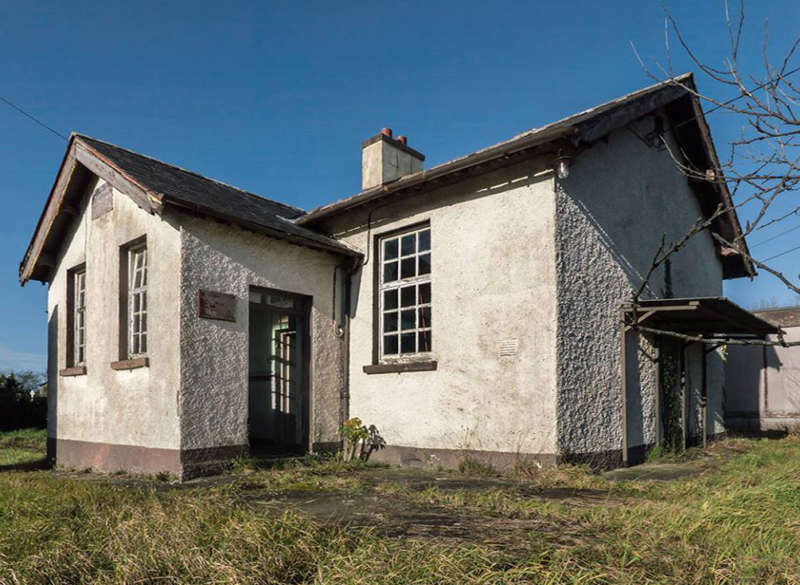 Deep punched windows and recessed opes are deliberately orientated to frame views of the surrounding countryside.